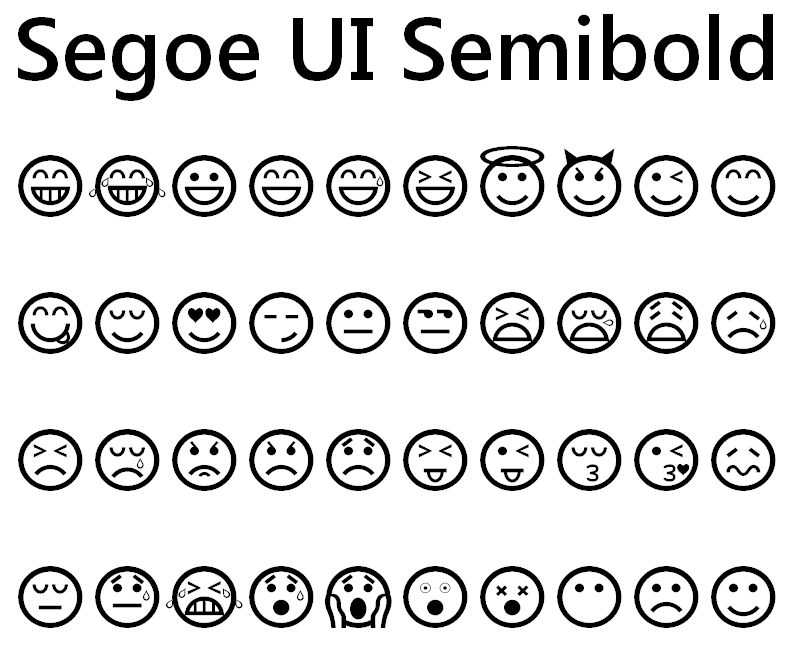 To get these simple but cool emoticons/emoji/smilies or whatever you want to call them you will need the Segoe UI Semibold font that comes with Windows 7 (possibly Vista too?). Make sure the font selected is Segoe UI Semibold and the subset is Extended Characters – Plane 1. From there you will see all of the available faces. 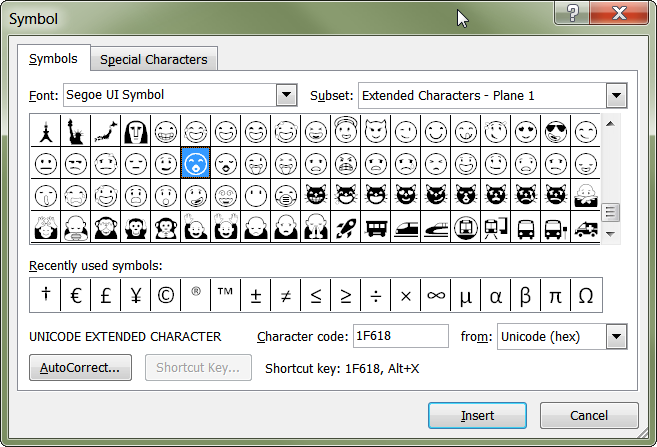 I was checking this on my current PC (Windows 7/Office 2007) and there wasn’t the correct subset in the Segoe UI Semibold character set. I guess it has been updated or downgraded since I did this article. This is the first time I hear of Symbola. It’s great, has lots of symbols and it’s free for all uses. “This article introduces an update to the Segoe UI symbol font in Windows 7 and in Windows Server 2008 R2. This update adds support for emoji characters and some control glyphs that are included in Windows 8 and in Windows Server 2012. In BabelMap you can choose “Emoticons” from “Select Unicode Block” area or enter 1F601 in “Go to Code Point”. The “Character Map” app that is included in Windows can’t display characters above code FFFF. How can i get them in MS Word 2003? Are you using Windows 7? I’ve update the post with some instructions but basically on the Insert menu, click Symbol, and then click the Symbols tab. Do not have extended Extended Characters -Plane 1 despite windows update K2729094 so do not have the symbols on MS Word 2003 Windows 7. Any ideas?